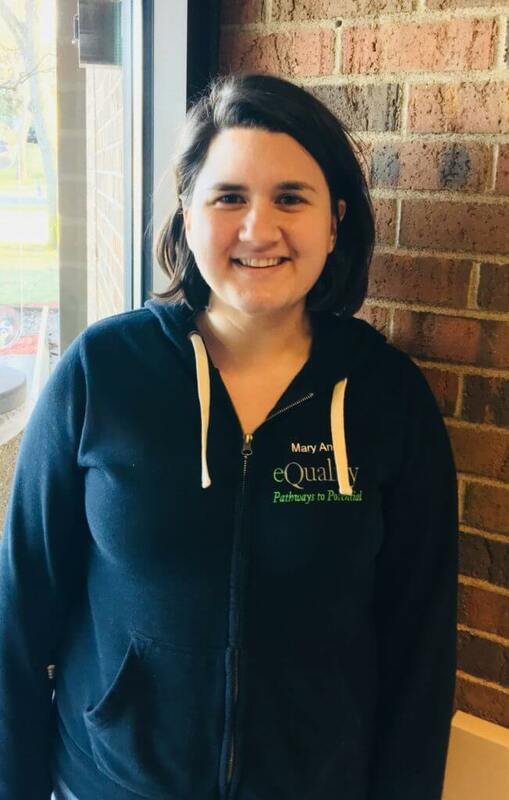 Mary Ann Hoffelt is thrilled to be a member of the eQuality team. She joined eQuality in March 2013 as a job coach at the Eden Prairie Community Center. She is a graduate from the University of Wisconsin-River Falls with a Bachelor of Science in Communicative Disorders and a minor in Horticulture. Along with exploring the Twin Cities area, her favorite memory from college was studying abroad in Scotland. While across the pond, Mary Ann lived in a palace with hairy coo’s (Scottish Highland cows) in the front yard and the home of the Loch Ness Monster just a train ride away! During her exchange, she was able to travel through much of Europe, immersing herself in new cultures. Today, Mary Ann is proud to be a Job Coach for eQuality and is energized to work with her team each day. She says she was inspired by her crew from day one and that the team continuously shows acceptance and respect towards each other. 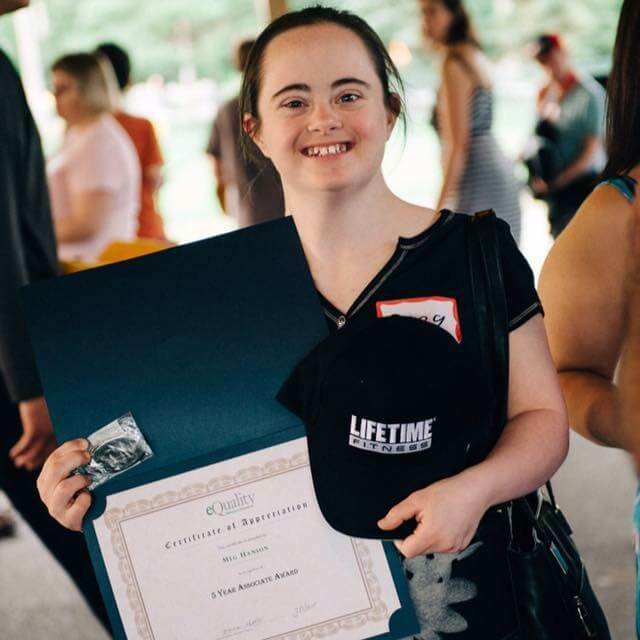 This admiration, combined with the team’s fun sense of humor and uniqueness, has helped Mary Ann to be empowered at eQuality. Mary Ann especially enjoys teaching afternoon activities to the crew because each member has the chance to share his or her talents as the group learns new arts, cultures, crafts, games, and explores nature. When Mary Ann is not at eQuality, she can be found going on adventures, having board game nights, playing her guitar, or visiting her native “cheesehead” land of Wisconsin.